Beach Huts Beginners kit using a bright colour palette on calico, create a pretty stitched picture to which you can add your own embellishments like buttons and beads. Ice creams, sandcastles and the blustery British weather all evoke memories of the seaside but none are quite as nostalgic as a pretty painted beach hut. 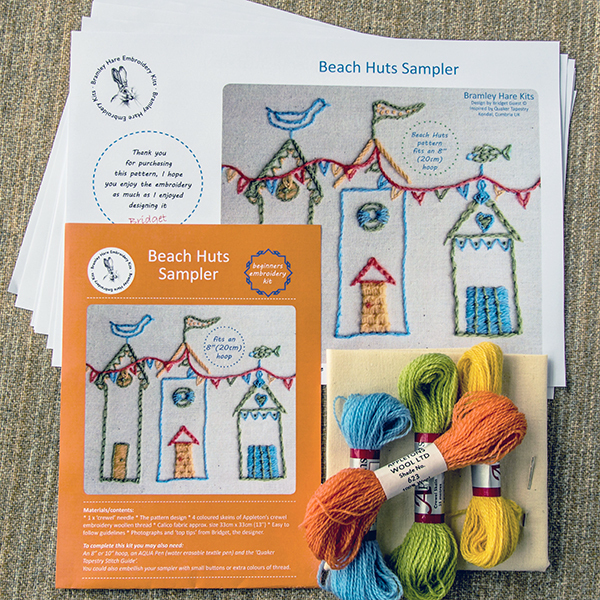 This kit contains the materials needed to make the embroidery picture of the ‘Beach Huts’, with guidelines, thread colour guide, photograph and ‘tips’ from Bridget, the designer. 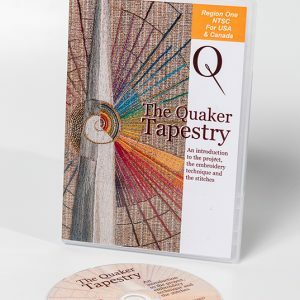 Within the design Bridget has used the 6 versatile stitches of Crewel embroidery that are used within the Quaker Tapestry. 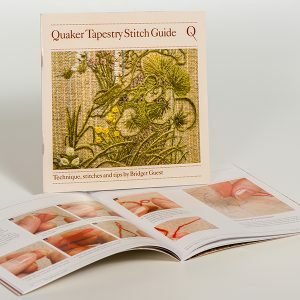 You will also need to purchase the Quaker Tapestry Stitch Guide Book which will give you step-by-step instructions of each stitch. • 1 x ‘crewel’ needle. • 4 coloured skeins British made Appleton’s crewel embroidery wool thread. • Calico fabric size 330mm x 330mm (13”). • Easy to follow guidelines. • Photographs and ‘top tips’ from Bridget the designer. 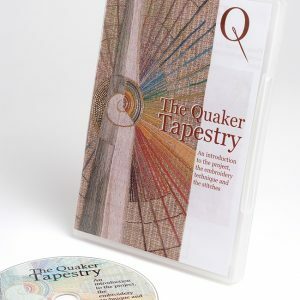 • Photograph of the finished design. 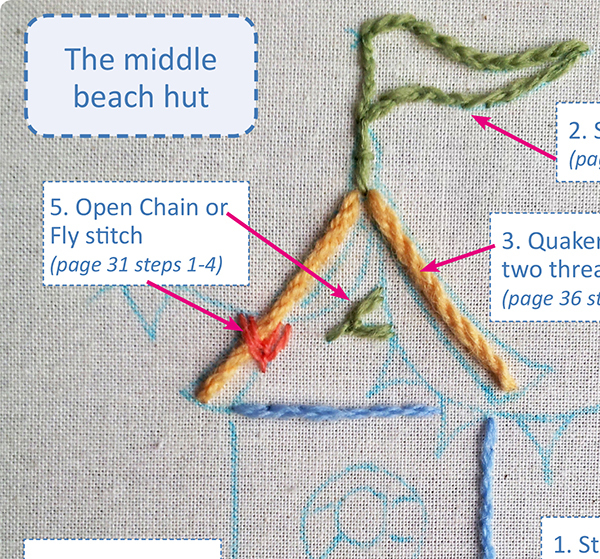 • Quaker Tapestry Stitch Guide book with step-by-step instructions for the stitches and techniques. 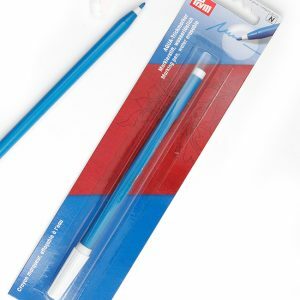 • Water erasable Aqua Pen. 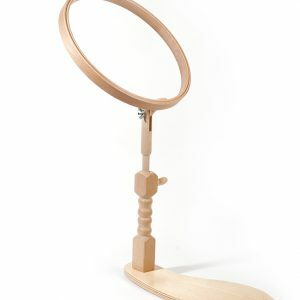 • A seat frame with a 250mm (10inch) hoop or similar frame to hold the work in progress. 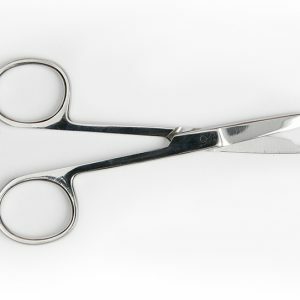 • Pair of scissors, a good light and some relaxation time. 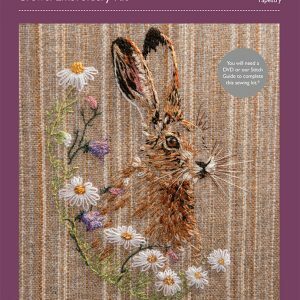 • You could also embellish your sampler with small buttons or extra colours of thread. I would recommend using a water erasable ‘Aqua Pen’ to transfer the pattern onto the calico. You can purchase one of these from this website shop. Use this bright colour palette, adding embellishment at home, such as buttons and some more coloured threads to create a pretty stitched picture or a cushion or simply for fun.